It goes without saying that the film industry is one of the hardest to break into, but that preconception is fading fast with the boom of digital filmmaking and the internet making the craft accessible to pretty much anyone. Below are just a few examples of films that really pushed the genre to its limits. While not the most ambitious of the films on this list, 2AM has its roots in a popular internet creepypasta by the same name. The film plays on the audience’s fears of the mundane— a walk along a lonely street, playing with idea of encountering a stranger at night. The most classic technique the film implements is the Rule of 3’s to building tension: 1. Introduce something scary, 2. Do it again, but scarier, 3. Do it again, but slightly different (opt: scare the living bejeezus out of your audience). On top of that, its synth score, simple camera setups and blocking, truly prove how effective an idea can be, no matter how simple the execution. Next on the list is if not the first, than the most influential horror short: Salad Fingers. This 10-part series, spanning over the course of 9 years tells the story of a green mutant creature (appropriately named Salad Fingers) and his daily life. It features his unhealthy love for rusty spoons, as well as his expansive finger puppet collection. The two most revolutionary freedoms this series is granted are its ability to tap into the uncanny valley, and an early use of the internet to help conjure speculation on the series’ symbolism. One of the most unique liberties of internet short-form storytelling is its unlimited opportunities of presentation. Specifically, it can trick the audience into believing it is real laptop footage, dash-cam shots, etc. 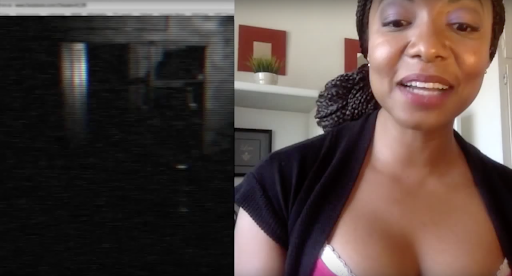 Despite the fact that recent films such as Searching and Unfriended have used similar tactics, videos like Girl Goes Psycho allow for a very streamlined expression of a single idea. Gone are the days where the tag “Based on a true story” was the most intriguing way to sell a horror film. This film— which is actually a creative teaser for a larger project by the anonymous channel ‘the15experience”— oozes with authenticity and mystery. It’s short, sweet, to the point, and more than likely to leave an impact on its viewers. Remember 2013’s Oculus? Looking back, it is highly regarded as one of the earliest entries in what I’ve grown to call the “Horror Renaissance.” The “Horror Renaissance” is a time in roughly the past 10 years where horror films stripped away the jump scares, hokey music, and slasher and demon archetypes to produce grounded, often metaphorical tales of loss, grief, addiction and the like (as explored in The Babadook, It Follows, The Witch, It Comes at Night, and most recently Hereditary). Well, this 30-minute short film was essentially Flanagan’s pitch to make the feature, illustrating how powerful the internet horror culture can be. All the elements listed above can be seen in this eerily toned down, ominous film, that’s better experienced than explained. In this internet series, disguised as a “Let’s Play” of a fictional video game, YouTuber ‘Paul,’ takes his viewers on a journey of discovery as he delves deep into this apparent Pokemon ripoff. The meticulously designed fake game incorporates several tropes of the blossoming ‘technological horror” genre, including glitched textures, music playing in reverse, and a seemingly living presence inside the game. The series’ fan base has grown exponentially over the course of its 15 entries, spawning on-and-offline engagement in the form of theories involving a real life murder, as well as an in-game hunt for the game’s true creator. Much of the discussion bleeds with authenticity, as even the original creator of the ongoing series has chosen to keep his real identity anonymous, as he continues to push out new content to this day. Go check it out, and make a guess for yourself as to what’s actually going on, and what might still be in store. How do you know this film deserves to be this high on the list? Maybe because it got a feature film adaptation in 2016 of the same name. Like 2AM, Sandberg demonstrates a near perfect execution of a simple concept, in most of the same aspects: atmosphere, score, mundanity, and its harsh lighting. What Lights Out excels in, though, is its masterful pacing. Because of the domestic setting, there’s an added sense familiarity, helping audiences put themselves in the character’s shoes, and all the hesitation and uncertainty that entails. However, the most important thing that this film gets right is its ability to add horror to an ordinary scenario. Needless to say, this film will leave you shaking in your bed, with all of your lights on for hours after you see it. At Number 3 stands the quintessential example of long-form, augmented reality storytelling in the internet age: Marble Hornets. What on the surface seems like a stretched out, found-footage film, when more heavily researched, reveals one of the most prolific examples of augmented reality storytelling. Besides the main channel videos featuring over 90 entries, viewers during the time of upload could access more content from a second channel named ToTheArk, as well as a separate Twitter feed from a character in the series. Each source sprinkled in puzzles that the others were then tasked with solving, as well as revealing more and more clues to those puzzles as time went on. It’s a neat series to look back on, seeing how some of the creative choices made influenced other creators in the genre, as well as how they shaped their own story going forward. Back in middle school, there was only one DHMIS. It was the video to show to all of your friends between classes just to ruin their day. At first glance, it seems like nothing more than a low-budget Sesame Street knockoff, with the characters singing about creativity and whatnot. However, it quickly divulges into an almost lovecraftian nightmare, with horrifying imagery and some of the most unsettling music you’ve ever heard. Back then, there was no rhyme or reason, no method to the madness. However, to date there are 6 DHMIS videos in total, and the larger narrative, one of corporate greed and creative freedom, has fully developed. It’s a prime example of having your cake and eating it too— scaring your audience half to death, while also having something to say along with it. It’s an instant classic that deserves all the analysis it garnered. Imagine driving down a dirt road in the middle of the night, and you swear you keep seeing your headlights reflect off of something just beyond the tree-line. Now imagine you can’t turn back. Without spoiling anything (seriously, stop reading and just watch it! ), Straub’s short film employs some of the best techniques the medium allows— from the dangers of technology that pervade every episode of Black Mirror, to the unique presentation and feeling of inevitability that the film subtly ties in from the beginning. It’s only a few minutes long, but the it leaves you with feeling that will linger for days. Being one of the largest film celebrations in the world, the Toronto International Film Festival (TIFF) has hosted some of cinema’s greatest and most popular accomplishments for more than four decades. The 2017 festival featured wildly popular films such as Lady Bird, The Disaster Artist and best picture award winner, The Shape of Water. With such a successful previous year, the anticipation was high for 2018. Without further a due, here are my five must see films from this year’s festival. Starting off white hot, we have the Bradley Copper directed music/romance drama, A Star Is Born. Starring the visionary Bradley Cooper and electric Lady Gaga, the film explores not only the complicated relationship of two musical stars, but the rewards and the consequences of living in the lime light. Spinning a truly unique story with mesmerizing musical numbers, A Star Is Born has received considerable critical acclamations since its release, even earning a 93 percent on Rotten Tomatoes. The film that I personally anticipated the most at this year’s festival is none other than The Old Man and the Gun. 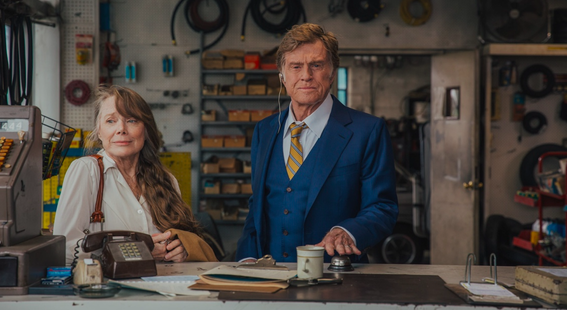 Starring an aging Robert Redford, he evokes a youthful performance, and delivers on one of his more peculiar roles in magnificent fashion. The film itself follows a 70-year-old, escaped prison inmate stringing together elaborate heists leaving the authorities bewildered. This adaptation of a true story is reportedly Redford’s last film, and is certainly a delightful close to an illustrious acting career. This Netflix based film was perhaps the film festival’s most pleasant surprise. Roma was directed, produced and written by the academy award-winning Alfonso Caurón. Roma itself is said to be semi-biographical as it tells a portion of Caurón’s life, while also being his personal love letter to his mother and all the women who raise us. The story explores the life of a Mexican mother as she takes care of her four children in her husband’s absence. This gritty, black and white film is regarded to be a masterpiece among ordinary viewers and critics alike, boasting a 98 percent on Rotten Tomatoes. The last time that Damien Chazelle and Ryan Gosling teamed up in 2016 we were given La La Land, so it is an understatement to say that there is excitement surrounding the duo’s return. First Man is a story we are all familiar with, but this film displays it from Neil Armstrong’s personal perspective. Is has been said that First Man gives the viewer the feelings of claustrophobia and isolation due to Chazelle’s well-purposed, dramatic intensity. With an eighty-million-dollar budget, it is clear that First Man leaves no stones unturned, and simply checks all the boxes. The final installment of my list is Boy Erased, making my list for its relevance in today’s social controversies. The cast is led by Lucas Hedges who plays a homosexual son of pastor. The pastor, played by Russell Crowe, attempts to deal with his sons’ sexuality by sending him to a gay conversion camp. The internal conflict displayed by Hedges’ masterful acting is regarded as one of the greatest in recent and cinema, making Boy Erased a must see in my book. “Little Women” is the story of the four March sisters told in the second oldest sister, Jo’s, point of view. I myself come from the family of four girls, falling second behind my older sister, and this story never fails to make me cry. Since I read the book, I hadn’t been able to bring myself to watch the movie until this year when I saw the 2018 version. After watching the newer adaption of the film I decided to go back and watch the 1994 version and compare the two. Before we start, I have to say that both films have nothing on the book and that is the TEA. The main cast of “Little Women” consists of the four March daughters and their neighbor Laurie: Meg the oldest, Jo the second, Beth the third, and Amy the youngest. The 1994 version of the film takes place in the early 19th century when the book was written, so the struggles the family undergoes are more accurate than the new adaption of the film. For example, Beth’s illness and the struggles of women in “society” that Meg and Jo face. The biggest change between the two films is the moment where Jo shows the most growth as a character. This is where Jo comes to realize exactly how much she cares about her sisters and it is essential to her character’s development. It begins when Amy throws Jo’s journal into the fire. The journal is Jo’s most prized possession because she is an aspiring writer. In the original story and 1994 version after throwing the journal, Amy falls into the ice while ice skating. Here Jo overcomes her anger towards Amy and saves her from drowning/freezing to death. In the 2018 adaption Amy falls off a horse rather than falling into ice. Instead of having that moment where Jo saves her, they have Jo realize how important Amy is to her after being injured. While this shows how Jo cares about Amy, it takes away the impact of Jo’s character development from when Jo decided to save Amy after she had destroyed her most treasured possession in the 1994 version. Not a big deal just removing some essential character development. . .
Other than this very important moment in the story being removed, both films followed the story line from the book to the best of their ability in the 1-2 hour time slot that a movie allows for a story to be told. Out of all the films that originated as novel, this is definitely one of the lucky ones that wasn’t ruined by screenplay adaptation. Before I sign off, I want to encourage you to definitely watch at least one, if not both, of the adaptations. If you want something more entertaining and relatable, then I suggest you watch the 2018 version. If you want to know the characters more and have a more realistic image of the book, you should watch the 1994 version. Pro-tip: Both will make you cry, so remove makeup before watching and have tissues ready. Me pretending I’m okay after crying about Beth for an hour.